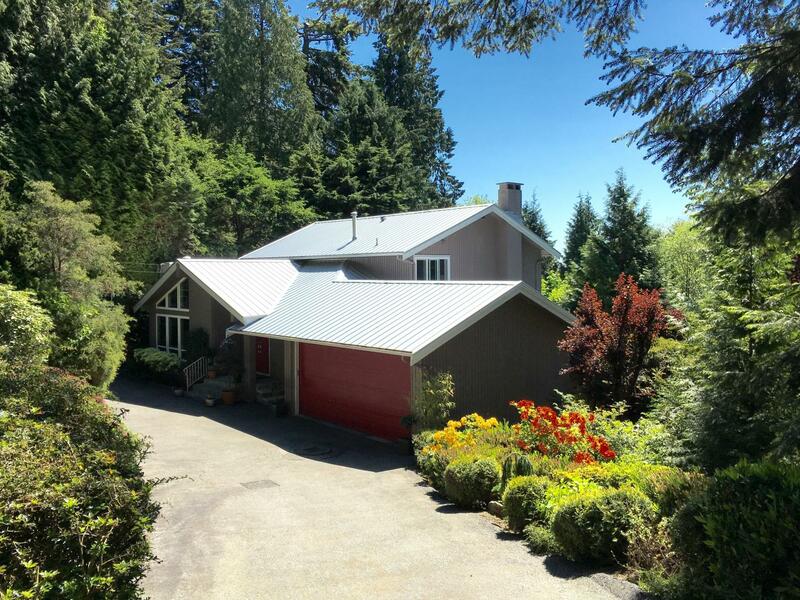 This beautiful property represents the best value per square foot for a large extensively renovated detached home in West Vancouver! Centrally located in Caulfeild, this approx 4000 square foot recreational family home offers 4 bedrooms and 5 bathrooms, including a second brand new master bedroom with en-suite. The house has potential to have a 2/3 bedroom suite for the walk out basement level, as a mortgage helper. This well built custom home comes with the peace of mind of a new state of the art quiet steel roof by Penfold’s which may never need to be replaced, as well as new energy saving high tech windows, doors, garage, flooring and external decoration. The property boasts a south facing chef’s kitchen with new quartz counter tops and high end stainless steel appliances, renovated bathrooms through-out the home. The oversized south facing swimming pool and spa has been newly refurbished and is sustainably heated automatically by a fantastic roof solar system, in a resort style setting. This fabulous location offers exceptional value for money not only for West Vancouver, but also the North Shore and has the advantage of easy, safe walking distance to top provincial schools at Caulfeild Elementary and Rockridge Secondary, as well as the beach and Caulfeild Village. Priced to sell. Hurry!